At this point, the tragic death of Savita Halappanavar is “old” news, in that most people have been at least somewhat aware of of it. Most people in the Catholic and pro-life blogsopheres—to say nothing of the ideologues who oppose us—who will comment on it have already posted their preliminary thoughts. The forces at work to make abortion common now have their martyr—willing or no—and thanks in no small part to media coverage and concern, her blood seems to cry out louder than the blood of millions and tens of millions killed annually through abortions. The facts are not all in just yet—in fact, very few facts have really been made available at all. This is perhaps strange, given the passage of nearly two weeks between Mrs. Halappanaavar’s death and the time at which the news of said death broke. What we know, nearly three weeks after her death, is that she died of septicemia in the hospital of Galway University—a state institution—about a week after checking into said hospital with complaints of severe pain. She was miscarrying at the time that she checked in—and was leaking amniotic fluid—though the baby was still alive. His heart was still beating. The Halappanavars allegedly asked for an abortion. Though not being exactly well-versed in the difference between an abortion and the termination of a pregnancy as an unintended side-effect, we might well assume that she only wanted the staff to induce labor knowing that the 17-week-old baby would most likely suffocate to death shortly after the delivery. We are told that she was told by the (strangely anonymous) staff that Ireland is “a Catholic country” and so abortion could not take place. We know that not only was labor not induced, but no treatment whatsoever was given for septicemia, including antibiotics, for two days. Meanwhile, the bereaved husband, in-laws and parents of the young mother have retreated to India and are demanding that Ireland liberalise its abortion laws. This demand is being joined by the Indian Ambassador to Ireland, the legalisation-pushers in Ireland’s parliament, the secular media and professional abortion lobbyists, as well as, perhaps most strangely, the official opposition party of India, the Hindu nationalist Bharatiya Janata Party. This despite the fact – as has been pointed out several times in editorials, press releases, blog posts and hundreds of comments boxes both Catholic and non-Catholic – that abortion is not a medical treatment for either miscarriage or for severe systemic infections and no one has any idea whether Savita Halappanavar really wanted an abortion, or whether “early induction” of labour would have saved her life…. Even pro-life advocates have pointed out that the current law and medical guidance include the possibility of abortion in the “rare” cases where the woman’s life may be endangered. The University Hospital would certainly have known this, it being the standard of gynecological care throughout the country. Indeed, I was told today by a reliable Irish source that on the gynecological staff at that hospital is at least one “rabid” pro-abortion doctor who would certainly have made sure that this would have happened had it been medically possible. Eilís Mulroy has written in The Irish Independent, under the headline “Pro-choice side must not hijack this terrible event”, asking, “Was Ms Halappanavar treated in line with existing obstetrical practice in Ireland? In light of these facts, it seems extremely unlikely, except perhaps in the dreams of rabid anti-Catholics, that the doctors at the hospital would have simply said, “This is a Catholic country, we don’t do that here.”…. How much better? The WHO’s document shows that from data gathered up to 2005, Ireland had one maternal death. Yes, one. India had 450 per 100,000 live births for a total of about 117,000. Under India’s current law allowing abortion virtually on demand, about 11 million children are (officially reported) killed by abortion annually – just under two and half times the entire population of the Irish Republic – and around 20,000 women die of complications related to these legal abortions. “We cannot know the all the details about her condition, treatment, and untimely death until the investigations are completed and the results made available to the public. What we do know is that the standard medical practice, in conformity with Irish law and medical ethics, requires that pregnant women receive all essential medical treatment during pregnancy – even if it won’t be possible for the baby to survive that treatment. Note well that in Mrs. Halapanavar’s case, a miscarriage was underway. So, try as they might, abortion advocates can’t pin this one onto Ireland’s pro-life laws. Nor can they pin this on the Catholic Church’s moral teachings, for one because this was a state and not a private Catholic university, and for another because Catholic moral teaching includes the principle of double effect. Under the latter, treatment to the mother would be allowed, even if it resulted in the expedited death of the baby . So this whole thing strikes me as just utterly bizarre. Obviously, a dilation and extraction abortion was not considered—nor should it have been. It also appears, however, that simply inducing labor, delivering the dying baby live though barely, and evacuating the uterus of the other contents—the infected amniotic fluid and the placenta, which were the true source of danger to Mrs. Halappanavar’s life—was also not considered. Or more accurately, it was not considered so long as the baby himself was still alive, since the staff did in fact deliver him two days later, dead. 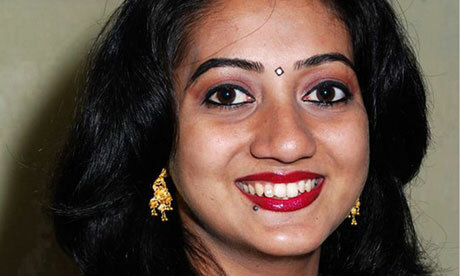 Legalizing abortion does not bring back Savita Happlanavar. Nor does it save the lives of any future women who find themselves in her shoes. Indeed, obedience to the laws of Ireland as they currently stand would require that she be given treatment for her condition, treatment which was not apparently rendered until much later. Nor does Catholic moral theology speak out against rendering such treatment, though we do not know if any (let alone all) of the medical staff involved in this case are faithful Catholics. By ignoring the relevant parts of both, the end result is one tragic, though perhaps preventable, death, no lives saved, and a martyr for the pro-abortion cause. The people (and government) of Ireland would be wise to exercise prudence in this matter, recalling the old adage that Providence moves slowly, and the devil always hurries . The result of legalizing abortion will be more abortions in Ireland—nothing more, nothing less. It may mean that the occasional Savita Happlanavar is saved, but it will also certainly lead to the occasional Kermit Gosnell or Scott Pendergraft, or for that matter the next Holly Patterson or Laura Smith. It offers a road to nowhere, paved in the skulls of the murdered unborn—to the tune of 125 million daily worldwide—and cemented with the blood of innocents which cries out to heaven. That blood never goes unheard . In his beloved Screwtape Letters, C.S. Lewis warns us that the devil loves nothing so much as to win a man’s soul and give him nothing in return. This is as true on a broad, national or cultural scale as on the individual scale. Indeed, we can’t know the motives of anyone involved. It could be that the supervising OB/GYN is zealously pro-life, but ignorant of Irish Law and/or Catholic moral teaching. It could also be that he opposes said laws and teachings—it is possible that he’s run aground of them before. It certainly appears that Mr. Halappanavar opposes both, though having just lost his wife to what he perceives as ‘anti-abortion policies,’ it is hard to blame him for this. I am not sure the origin of this, though it is a favorite expression of Russell Kirk’s and can be found in several of his works, including The Politics of Prudence and Redeeming the Time. It is one of the sins which cries out to heaven to be avenged. This article was originally published at Ignitum Today. Thanks for this article. The tragic dead of Savita Halappanavar is very sad and everyone is moved and upset by the dead of this beautiful young woman and her baby. The details are not known and at this stage speculation is harmful. It is true that pro-choice people are using her death to introduce abortion into Ireland. Also at present pro-life views in Ireland are under attack, but one should be cautious and not give way to anger or emotional outbursts. Our constitution has a right to life clause (http://www.citizensinformation.ie/en/government_in_ireland/irish_constitution_1/right_to_life.html). This must not be forgotten.